Howdy there, how are you on this freezing evening? 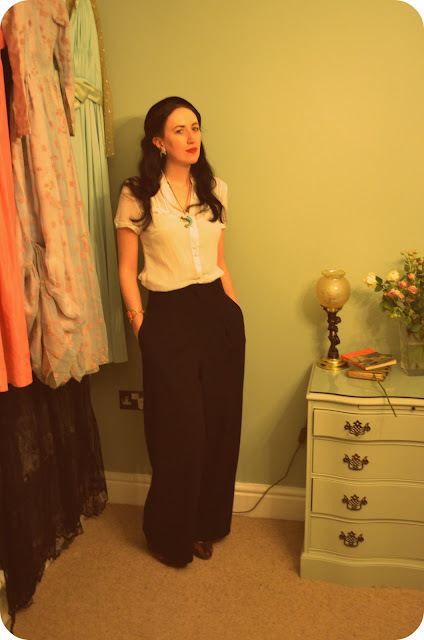 I wanted to share with you my fabulously wafty trousers, it's so hard to find decent high waisted trousers but found this pair on eBay originally from H&M trend. They are a delight to wear, although my friend at work did tell me I looked like a waitress, I was trying to channel Marlene or Vivien but whatever I sang the Human League for the rest of the day. Hope you're excited for the Easter break, I have my niece and sister staying over so I will be knackered! O, teasing us with those divoon frocks just in shot! YOU look like a DREAM! Clearly, your new home makes you very, very happy, because you are looking the so relaxed and happy and beautful! You are simply beautiful! Loveee that outfit so much! So elegant! I love the blouse and your accessories! 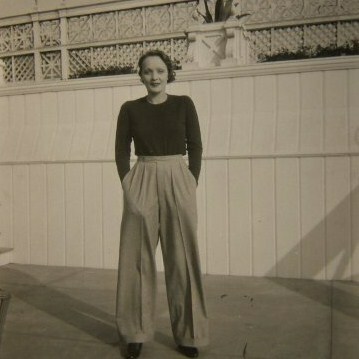 Love those pants!! 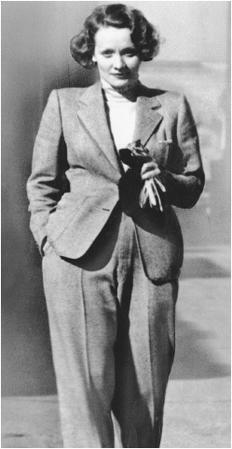 I love how you tied your outfit in with the ladies in the past who ROCKED trousers! Beauty! I've been into wearing pants lately. Love the inspiration photos as always. Aren't you cute! And I totally love The Human League. 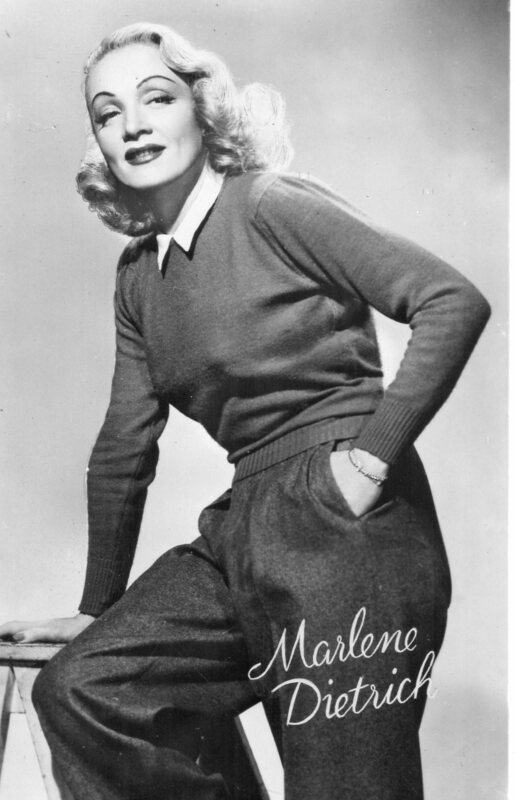 this is what i miss in my wardrobe: awesome marlene patns like yours!